Although this blog does not deal with PC games, I’ve been following this game for ages. It was reviewed on these very pages when Cherrymochi (the Devs) launched their KickStarter campaign, and it it was mentioned again in an advanced stage of production. At that time I was a backer and we suggested the devs to include support for console controllers (you never know…). I am so here to announce that I just received a mail stating that the game is under console porting for PS4 and Nintendo Switch. Even if I already played it on PC, it will be an instant buy again. 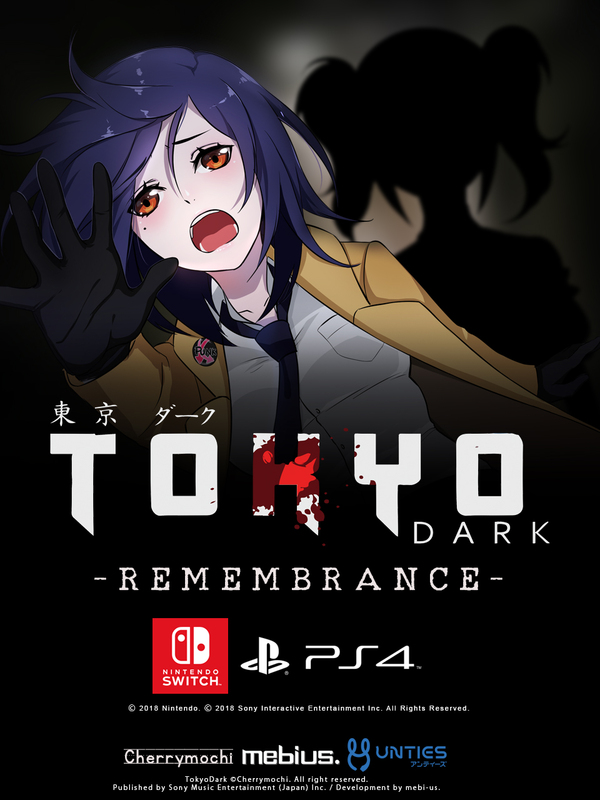 TOKYO DARK -Remembrance- completes the mysteries left by the original, bringing a Director’s Cut to Nintendo Switch™ and PlayStation®4 this winter. Completely rebuilt for consoles and featuring new scenes, art and additional endings. TOKYO DARK -Remembrance- has something for both new fans and long time supporters. Oh my God, I was surprised. Well, I expected that there might be a port to the console machine. They realize one more dream.